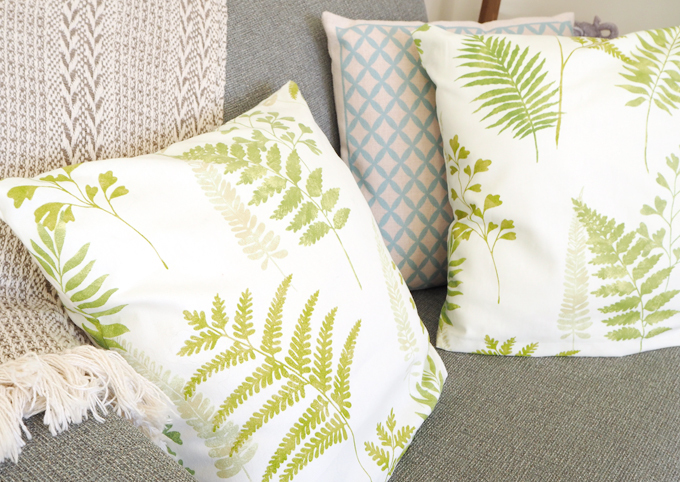 Give your home a spring makeover with this easy botanical cushion tutorial. I hope you are enjoying your long bank holiday weekend full of chocolate and lie ins. I am making the most of it by doing lots of DIY’s around the house. To kick off the weekend I thought I would share with you a really easy cushion make that I have been meaning to post for a while. 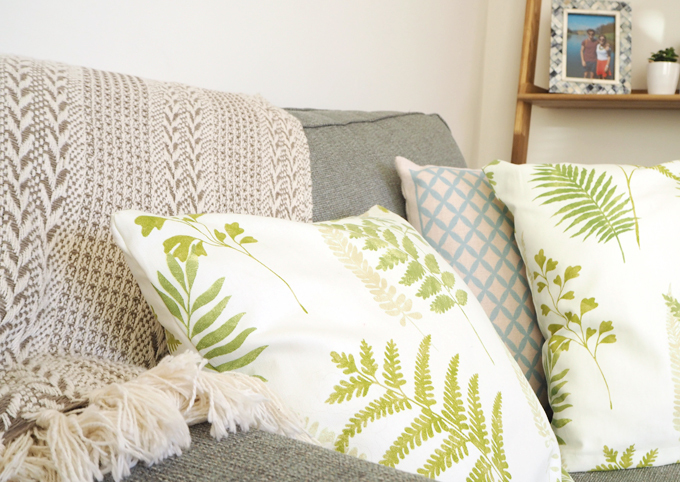 These cushions give any room a well needed pop of colour and life as well as being on trend for spring summer. 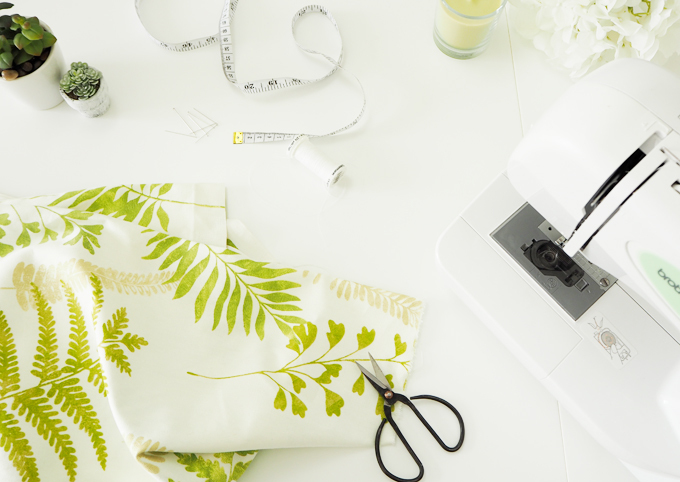 Don’t worry if you are new to sewing, this is a really quick project to get you started! Why not give it a go this long weekend? 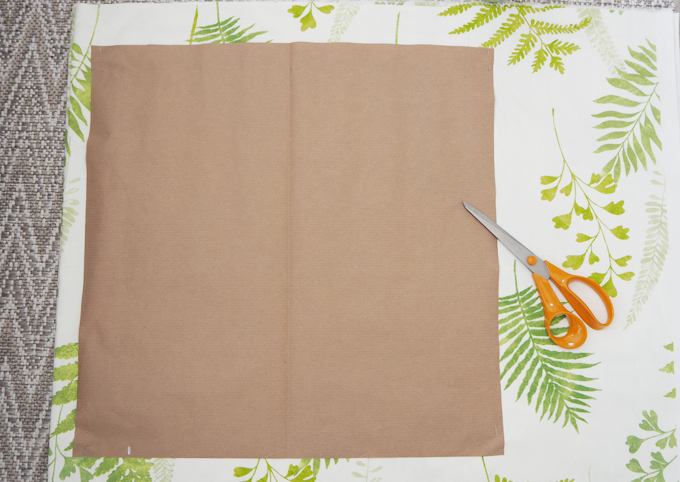 Fold your fabric in half length ways so you can cut out both sides of your cushion at once. 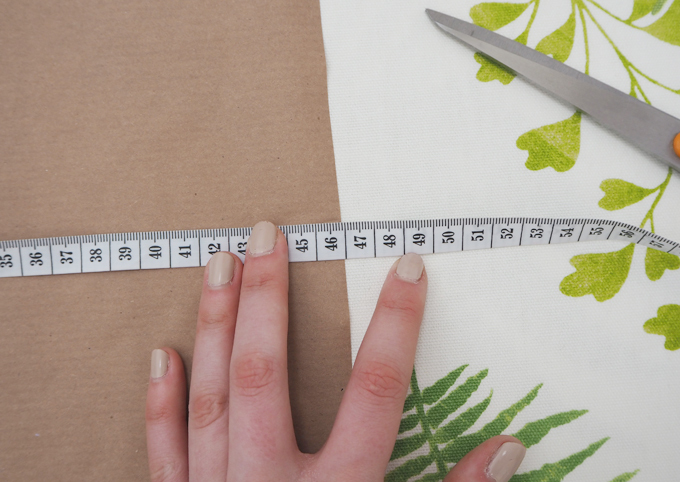 Start by taking the measurements from your cushion inner and creating a paper template from old decorating paper or a roll of brown paper, like I did. 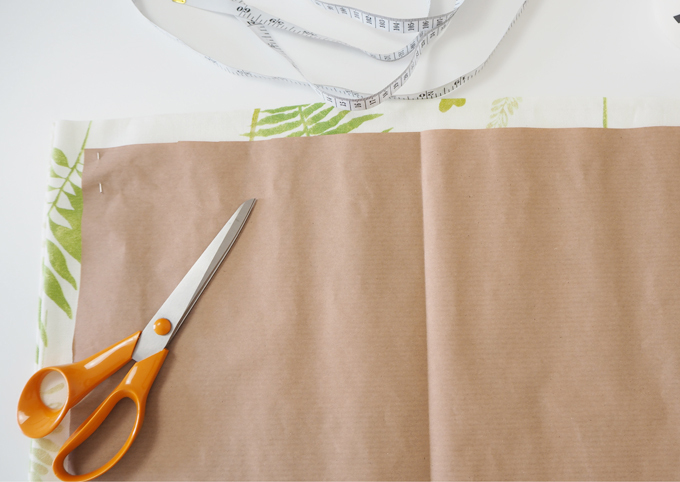 Cut out the template and pin down onto the fabric, making sure both your fabric and template are lying flat and free from creases. Next you need to add the seam allowances. 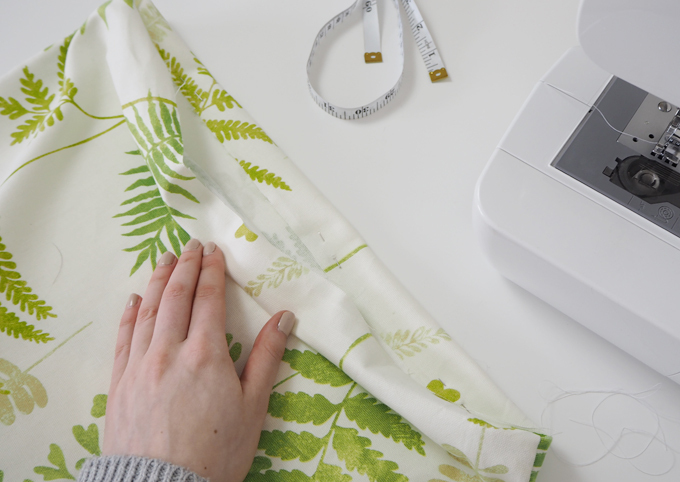 Measure 1.5cm out from the edge of your template around each edge and mark on your fabric with pins or a pencil, cut out your fabric following these measurements. 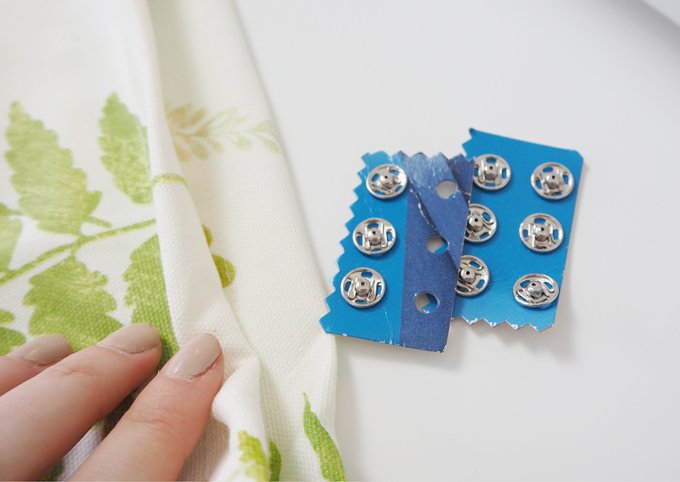 Unpin your template and turn your fabric squares over so both patterned sides are facing in on themselves. Line up the edges and pin them together. Now it is time to set up your sewing machine and sew your squares together leaving one edge open. Make sure you leave 1.5 cm seam allowance around each edge. I chose to leave the bottom edge open as this will be the edge that’s least on show when placed on my sofa. With the last open edge you can either hand sew it up closed once the cushion is inside or add poppers making it easy to remove the cushion like it did. To add poppers, turn your cushion the right way out and then fold the raw edges back inside, creating a hem. 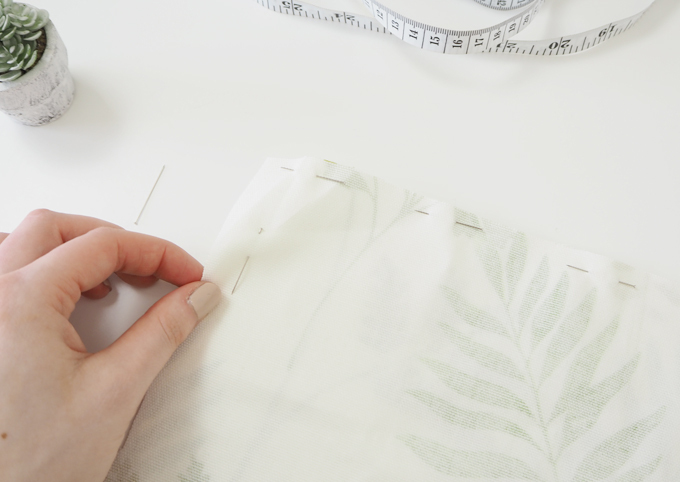 Sew along the inside of the hem to secure it, this creates a lovely neat edge onto which you can attach your poppers. 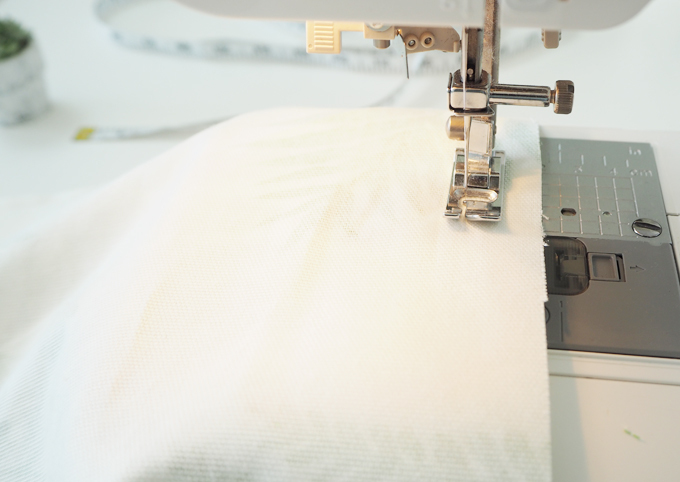 Use a thin needle and thread to hand sew each popper pair to the inside of the hem. I used 3 pairs in total, one in the center and two halfway to the edge of the cushion. 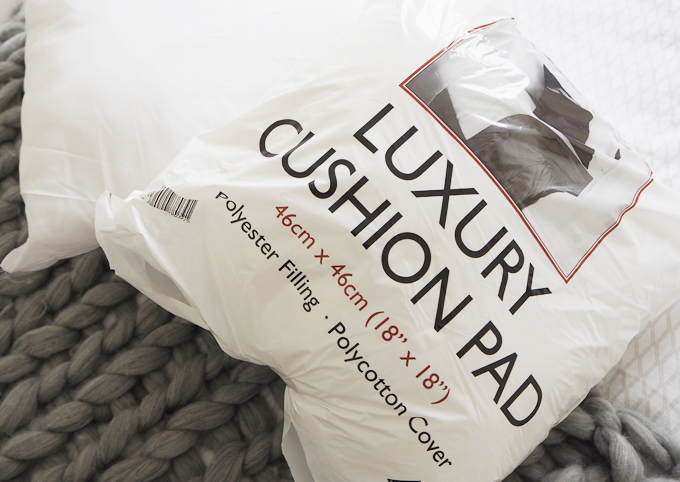 The last thing to do is insert your cushion inner and fluff up your cushion. 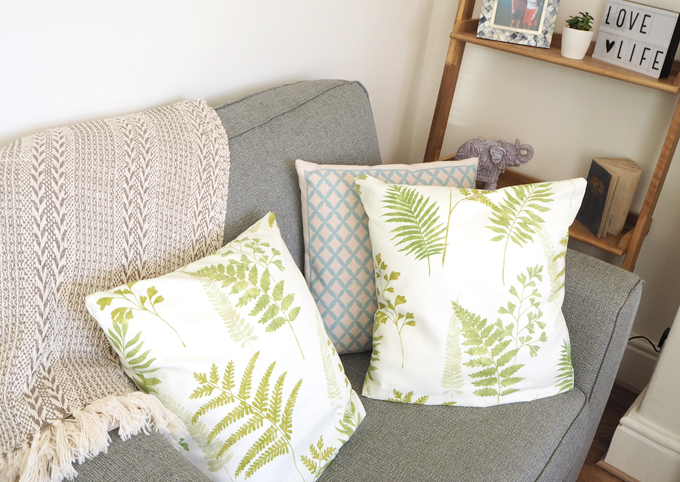 I really love these cushions, not only are they quick and easy to make but look really stylish in our living room. I have kept some of the old geometric cushions as they fit in well and paired them with a cosy woven throw. 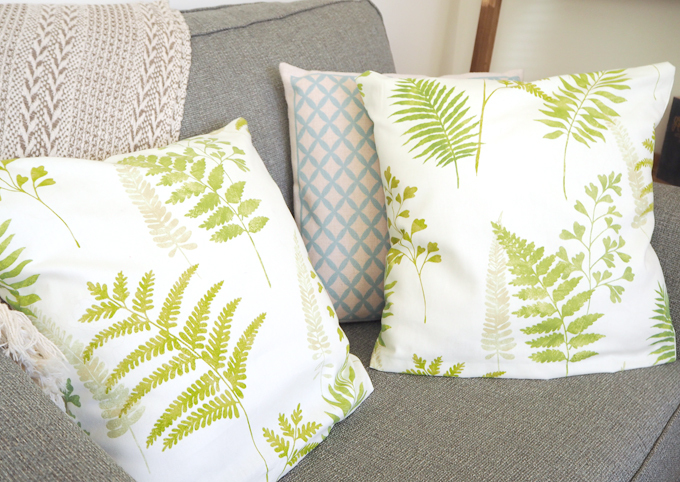 The good thing about these cushion is you can make them in any fabric, print or size to match your room. 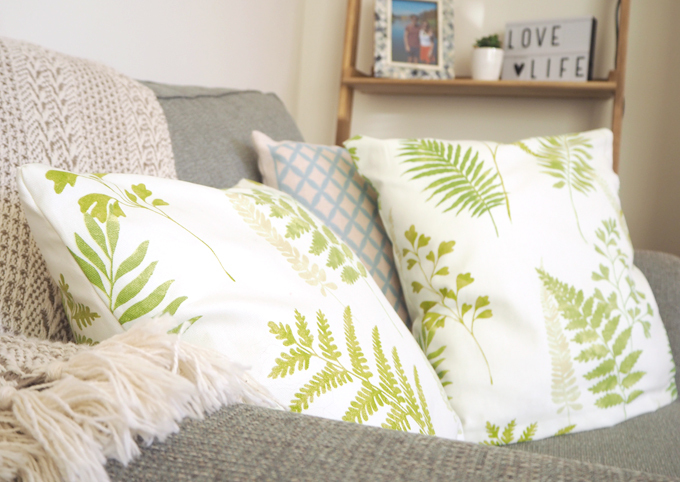 Why not try adding pompoms around the edges for a fun take on the traditional cushion?! 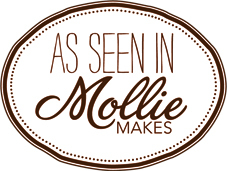 I hope you have enjoyed following along with this tutorial, I would love to hear your thoughts in the comments below. 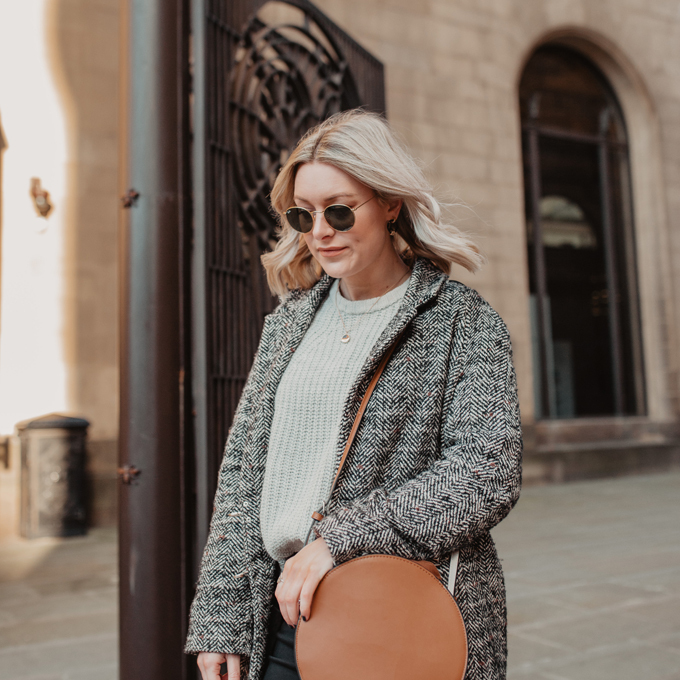 Fancy making a floor pouffe to match? Watch my latest video over on AO Life to see how I made a DIY Botanical Floor Pouffee. Have a lovely bank holiday weekend everyone!